The MOMS ministry is a group of mothers that assists families with young children through prayer, social support, meal sharing, and faith building. They host activities to bring the entire family closer to the Church through fun activities, study, and support. 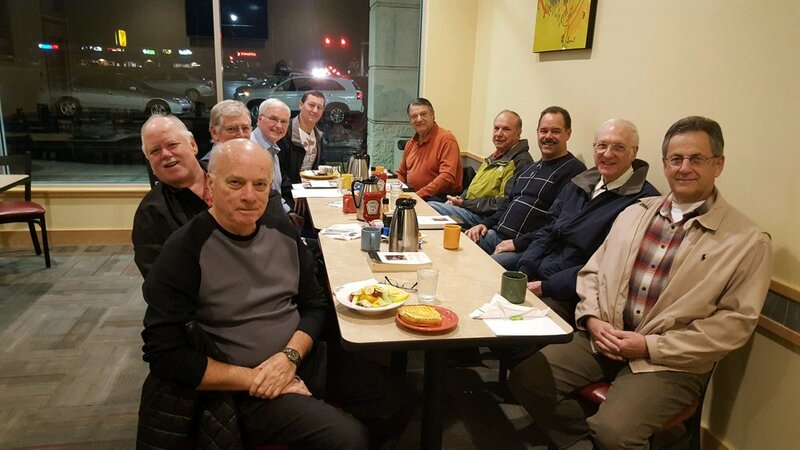 The men’s Fellowship Ministry is much more than a prayer meeting or Bible Study. Fellowship meetings help address personal issues, spiritual issues, cultural issues, visit Scripture, pray, and provide the special support that may be needed from time to time depending on the needs of participants. Men challenge each other to be better Catholic Christians and better husbands, fathers, brothers, and friends. The greeter ministry is dedicated to making every guest entering our church doors feel warm and welcome. Opening the doors before Mass, smiling, and greeting each guest is an important way to convey the hospitality that Seton Parish has to offer. The goal of this ministry is to create a welcoming atmosphere for existing and new parishioners by volunteering to staff the Welcome Center immediately following Mass. We assist people to register at the parish as well as provide answers to questions about the parish, different organizations, and events. Originally established as a support group for widows, Gals and Pals is now for any Seton woman who would like an opportunity for fun, faith development, and fellowship. The goal of Gals and Pals is to provide support and loving companionship to women.